LOS ANGELES, Calif. /California Newswire/ — L.A. Mayor Eric Garcetti on Monday appointed Ken Ziffren to be his chief advisor on motion picture and television production. Ziffren will build on the foundation laid by Tom Sherak to help Mayor Garcetti strengthen our economy and middle class by increasing local production through expanded state incentives and cutting red tape at City Hall. 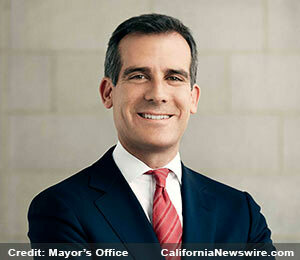 Editorial note: Content based on press release as issued by Office of Los Angeles Mayor Eric Garcetti.